It’s not late to submit your best article to our $1200 worth contest,it’s basically a writing and popularity contest at the same time, means you write an aowsome article and submit it to the contest and then start to promote it to get votes and re-tweets! This contest is open for everybody who has the ability to write in our niche and meet our criteria, it’s not limited to our Famous Bloggers Club members, this means anyone can be part or it. 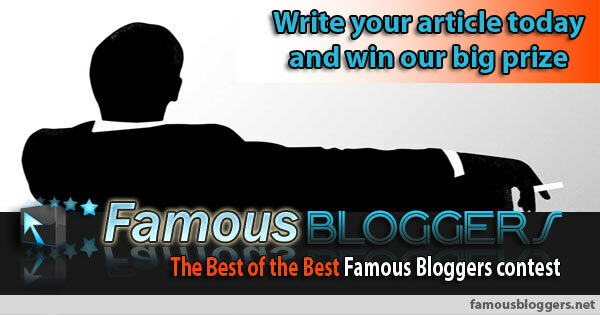 even our contributing team is going to participate to our Famous Bloggers contest.